In the years after the 9/11 attacks, health experts have learned more about how the debris, smoke and wreckage affected the health of first responders and other survivors of the attacks. Those who stayed in the area and breathed in the dust and smoke have been found to be more at risk for a host of health problems. (NEW YORK) — It has been 15 years since Ray Pfeifer saw news about a plane hitting the north tower of the World Trade Center. A two-decade veteran of the New York Fire Department, Pfeifer was on his way to enjoy a round of golf when he immediately got back in his car and headed into the city. A member of FDNY Engine 40 and Ladder 35 station on the city’s Upper West Side of Manhattan, Pfeifer showed up to the site in the afternoon after the two towers had fallen. Thousands of victims were lost in the rubble, including 12 members from Pfeifer’s fire company. Pfeifer said he and others were so focused on finding survivors or remains that they barely slept as they continued to work in the still-smoldering pile of ruins. In the weeks and months that followed, Pfeifer said, people with whom he worked started to develop the “World Trade Center cough.” Later, he heard stories of people getting lung problems, asthma and then cancer. “There’s not one person that put their foot on the Trade Center and worked down there that doesn’t think in the back of their mind that they’re not going to get sick,” Pfeifer said. In the years after the 9/11 attacks, health experts have learned more about how the debris, smoke and wreckage affected the health of first responders and other survivors of the attacks. Those who stayed in the area and breathed in the dust and smoke have been found to be more at risk for a host of health problems, including cancer, asthma, mental health disorders and gastrointestinal diseases. Eight years after the attack, Pfeifer started to feel a sharp pain in his hip. After going to the emergency room, he was diagnosed with stage 4 renal cancer at age 48. The cancer, which normally grows slowly, had exploded through Pfeifer’s body with tumors lodging themselves through multiple sites, including a tennis ball-sized lump in his hip. The FDNY reports that in addition to the 343 FDNY members killed on 9/11, another 127 firefighters have died of illnesses related to working at Ground Zero in the past 15 years. This includes 17 people who died in the last year, according to the FDNY. 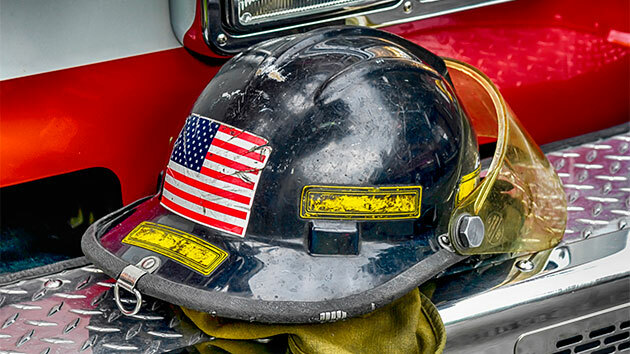 The Uniformed Firefighters Officers Association (UFOA) reports that 1,396 members have cancers associated with exposures at Ground Zero, 5,723 have gastrointestinal issues and more than 5,500 have lower airway issues. Many of these current and former FDNY members have two conditions. Dr. Joan Reibman, medical director at the World Trade Center (WTC) Environmental Health Center at Bellevue Hospital, has been working with 9/11 survivors for years. The center was established by the Zadroga 9/11 Health and Compensation Act of 2010 that aimed to help care for the first responders who stayed at Ground Zero after the attacks. “We see [digestive] disorders, chronic sinus inflammation, lung disease such as asthma, gastrointestinal diseases such as GERD; also clearly mental health issues such as PTSD, depression, anxiety,” Reibman told ABC News. “We initially thought they would resolve” with time. Reibman said that while some have, others are grappling with the long-term effects of exposure. Researchers also continue to look to see whether other survivors develop new diseases related to their exposures from Ground Zero. The Uniformed Fire Officers Association said researchers are looking to see whether multiple sclerosis and other autoimmune disorders are linked to exposure form 9/11, but they don’t have enough data. Glen Klein, a former detective with the New York Police Department Emergency Service Unit, has been grappling with a variety of ailments after staying at Ground Zero for 800 hours. He has asthma, severe arthritis and post-traumatic stress disorder. He said there is still more that needs to be done to help those developing diseases not yet connected to Ground Zero exposure. Dr. Reibman said it can be difficult to make connections linking new diseases to exposures at Ground Zero.